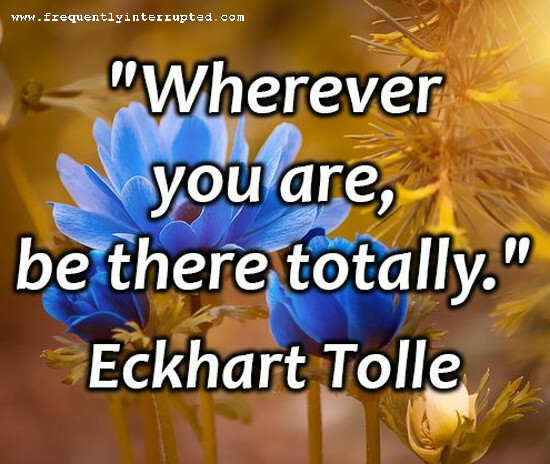 Be where you are when you are there. Whether you are worrying for some other time and place or anticipating, you are missing the time and place of the hear and now. Things are happening without your knowledge. You are not experiencing them, and you are not learning from them. Be where you are, and learn from this moment.